It’s a common enough idiom, a plea for empathy and understanding. Taken literally, it’s also a phrase that rings true for gamers. We walk countless miles in the shoes of our favourite characters, learning to love and feel for them along the way. 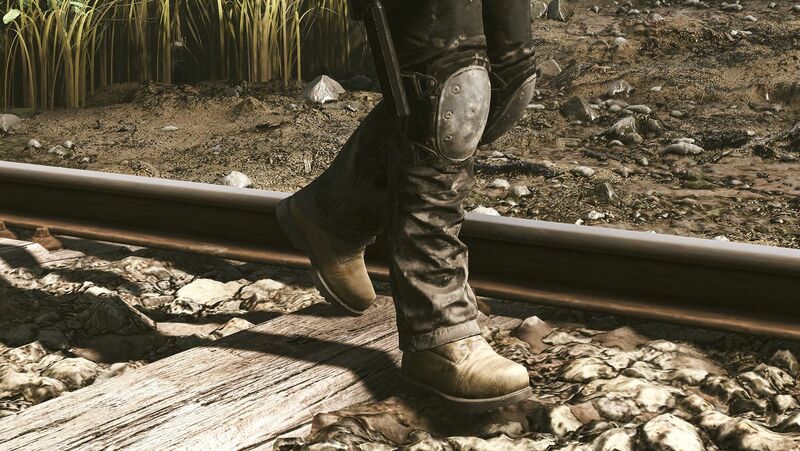 But despite all the miles we travel, we rarely give our well-worn virtual footwear its due. 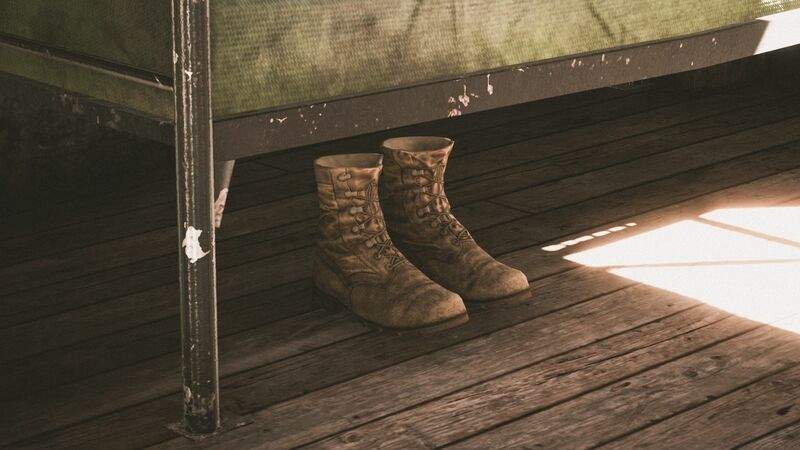 Virtual shoes are just another one of the many small, mundane details that make the worlds in which we play believable, and most players ignore them. Luckily, one photographer has made it his mission to document the art of virtual shoes. Leonardo Sang is a Brazilian graphic designer turned photographer who realized he could apply his photographic skills in video game worlds. Since 2011 Sang has been photographing virtual worlds as part of his Virtual Reality Photography project. Using the techniques of traditional photography in virtual worlds ranging from Bioshock Infinite’s Columbia to Forza’s racetracks, Sang captures the jaw-dropping beauty of videogames. Oh, and he also looks at shoes. Shoes for Virtual Feet is Sang’s current pet project and his latest experimental photo series. In “Backseats,” Sang took racing games and photographed the road from the backseat. He looked out the windows at worlds that normally fly by and made them the focus instead, creating a visual love letter to the open road. 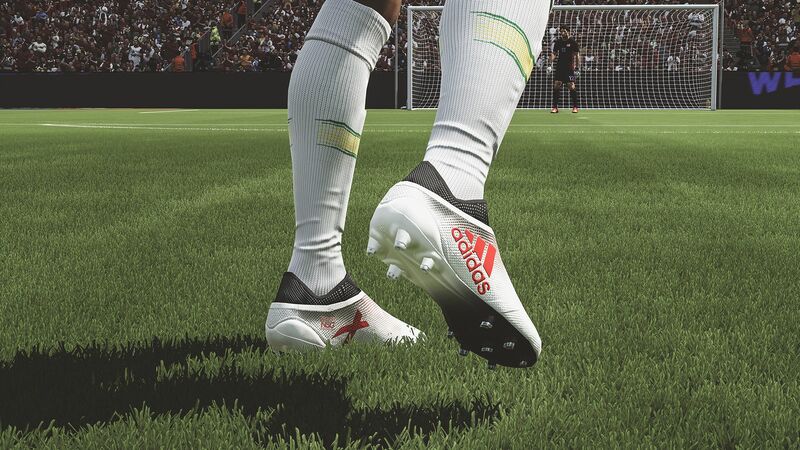 With Shoes for Virtual Feet, he is again trying to change the way we look at our favorite games. Inspired by Jess Morrissette’s “The Video Game Soda Machine Project” and “Below the Surface” (a series of archaeological items that were excavated and set up in Amsterdam’s Rokin metro station) the boot-based project documents the hidden beauty of videogame footwear. It sounds like a weird detail on which to focus. 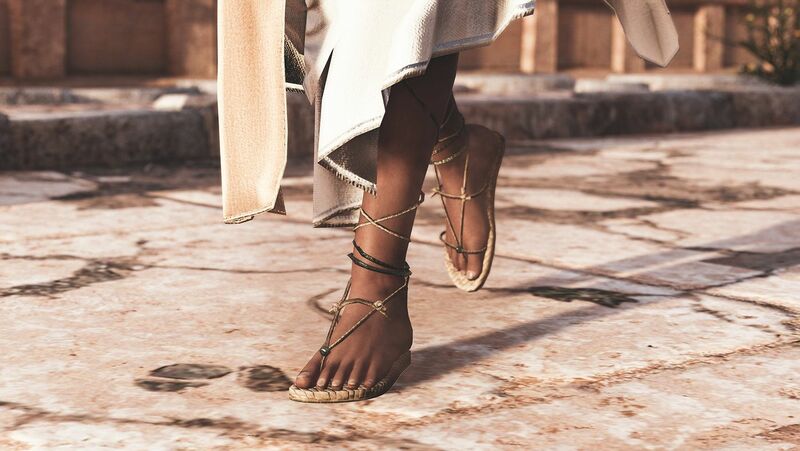 Shoes aren’t the most interesting things in a videogame. But in Sang’s mind they emphasize the little things we take for granted and the hard work that goes into making them. Not everything in a game should be a miraculous moment. The mundane parts of the world – roads, rugs, and shoes – help flesh it out and make it more believable. If Assassin’s Creed games were only about the views from synchronization points, we wouldn’t feel as attached to them. By photographing virtual shoes and boots, Sang is drawing attention to the minutiae. The stuff artists and designers work hard to create. The stuff we usually ignore in our chase for experience points. “We as players are always looking in front of us, at people’s faces, to the horizon, rarely to the floor,” says Sang. In a medium that always stresses progress and an industry that moves ahead with the momentum of a fighter jet, looking down and savoring something as mundane as a shoe sounds like novel a idea. Sang almost ignored the idea himself. He only stumbled onto it by accident. Those photos became the foundation for his project, and Sang quickly dove back into his favorite worlds with this idea in mind. Forcing himself to look at shoes for hours at a time helped him gain the perspective he’s hoping to give his audience. In photographing the Crew 2, a racing game all about driving and never slowing down, Sang noticed the attention to detail on the pedestrians. 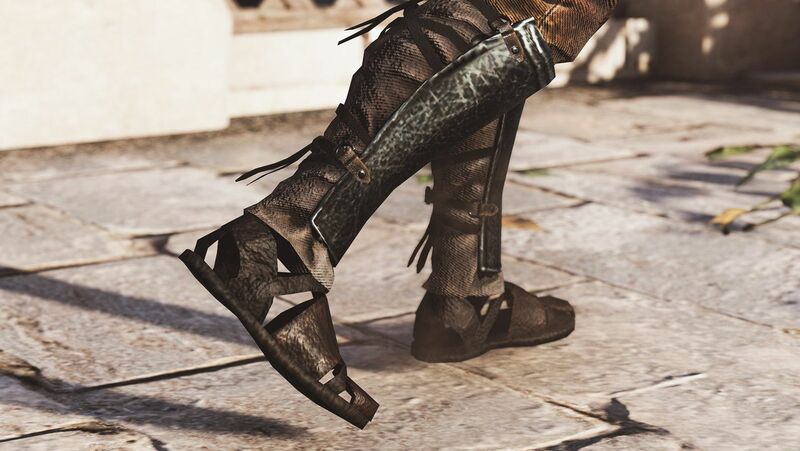 Likewise, working in The Witcher 3, a game Sang has used for countless other projects, he saw the way CD Projekt Red used boots, rags, and sandals as part of each region’s cultural tapestry. 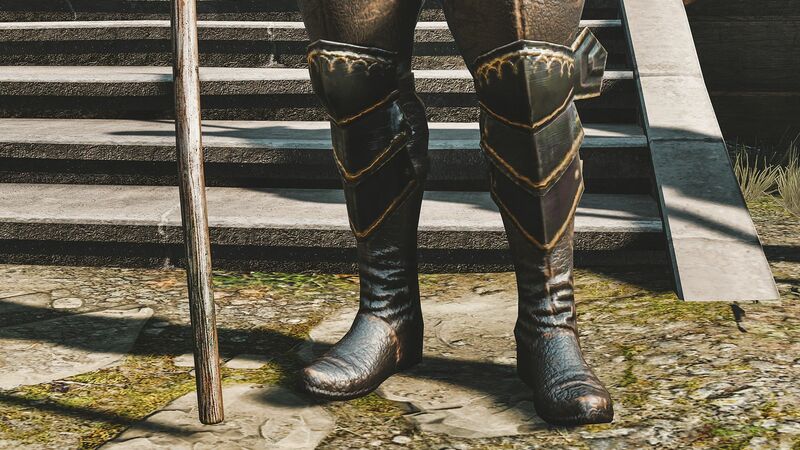 Sang found the footwear varied from Novigrad to Skellige, a detail that helped the game’s denizens feel more like a part of their environment. However, photographing virtual feet isn’t always as easy as it sounds. A lot of characters have stiff or tense idle animations, which can make for awkward photos. Part of Sang’s job involves moving characters around until he can capture their feet in a stylish position. When it comes to photographing NPCs it can be even trickier – and weirder. 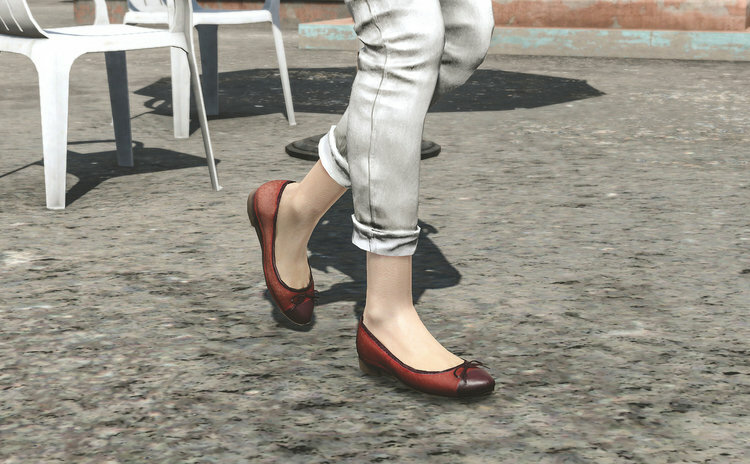 Shoes for Virtual Feet is a work-in-progress and it’s still evolving with every game the photographer chooses to explore. Every game is a new chance to shine a light on the mundane, to reveal the value in the little things. And while Sang’s project has him looking down, he’s still looking forward to the future of videogame photography. With photo mode popping up in major releases like God of War, Spider-Man, and Assassin’s Creed, virtual photography has hit the mainstream. As someone who has been doing this for a while now, Sang is happy to see the art form grow and become more accessible. He remembers having to work around games to get a good shot. Now developers are making the tools more accessible, which is only good for the artists and amateurs who want to get involved.